I meant to post this last week, but here are the foods I tried October 21-25. This bowl of hot oats from Love Grown Granola was pretty good. It tasted healthy and really filled me up. I keep finding that I can't really eat a lot in the morning and tend to do better with bringing a small snack to work to eat at around 10 a.m. I am in love with these tortillas from Trader Joe's! I have been craving vegetarian refried beans lately, so I put them on the chia seed tortillas with a handful of spinach and some hot sauce on top. 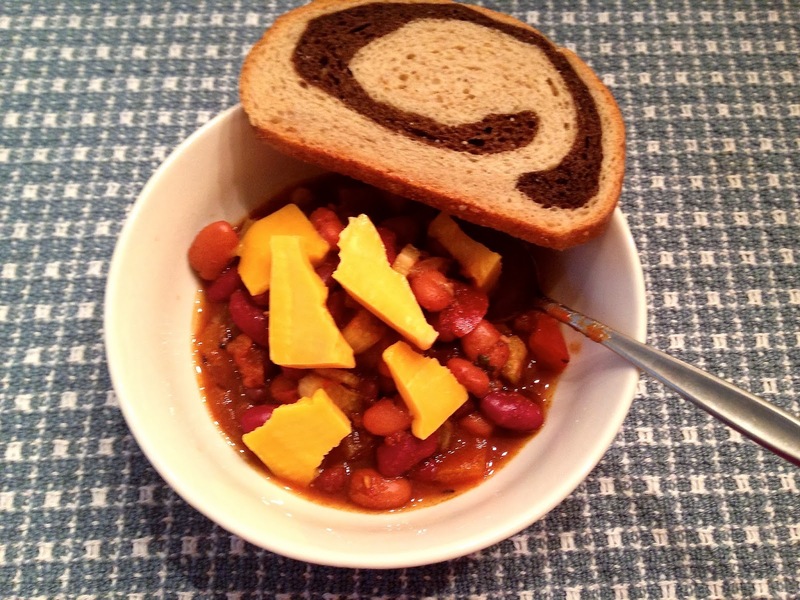 Tortilla + beans = a complete protein, so that's a score for this vegetarian! I made Tina from Carrots N' Cake's No-Bake Almond Joy cookies and they are so addictive and tasty! Craig went up north to help his parents close down their cabin and he brought me home a Caramel Apple. Yum! I have to force myself to eat bananas vs. just blending them into a smoothie. I put banana slices on a Pumpkin Spice english muffin with peanut butter. It was a filling and tasty breakfast. The other thing I am addicted to lately is hard boiled eggs. I kept putting them on top of spinach for lunch all week. I tried Trader Joe's pumpkin greek yogurt and it was just ok. I wouldn't buy it again. I'd just add some canned pumpkin and spices to plain greek yogurt instead. I finally purchased a little bottle of Frank's Red Hot sauce to keep at my desk at work. I actually like putting it on top of the eggs as a salad dressing. I know, it's a bit strange. What foods have you been loving lately? I definitely go through periods where I am addicted to certain things, but my staples lately have been hard-boiled eggs, spinach and I never go a day without eating yogurt of some type (greek or non-greek). Like most people, I always have to switch up my cold weather skincare routine to include more body butters, hand creams and lotion made especially for eczema. I especially have problems with eczema during the fall and winter seasons and sometimes it can get pretty annoying, red, and extremely itchy! I recently purchased these three products and I'm here to share my first impressions so far. -Trader Joe's Pumpkin Body Butter: I picked it up last weekend after seeing it posted on many blogs and instagram. The scent is really nice, not overwhelming, and I don't feel like I smell like pumpkin pie or a pumpkin latte. I think this is the first skincare item I have purchased that uses Coconut Oil and I have heard that it is great for your skin. -Nivea Creme: this is wonderful for my dry hands and patches. I keep it in my purse. Over the summer, I read this article comparing Creme De La Mer and Nivea Creme and Nivea won, so naturally, it influenced me to want to try this product. Instead of only putting it on my dry patches, maybe I should try some on my face too. This little tin was only 99 cents at Ulta, which is a steal to me! -Aveeno Eczema Therapy Moisturizing Cream: I love this lotion for my eczema, which is prevalent on my hands and shins in the winter months. I put this on before bed and I don't wake up itching. What products do you switch to for the winter months? Tanzi watching birds outside our window. I need as many probiotics in my diet as possible, so I took a picture of this Runner's World article to remind me of what to buy at the store. I bought sauerkraut this week. I could eat that stuff every day and never get sick of it. I think I want to try kimchi next and Trader Joe's sells it, so I'll pick it up there. Walking the track at the Y. At the gym on Sunday afternoon. I uploaded this shot to instagram and my friend Laurie noticed that the gym was empty and then said "there must be a Packer game." Sad thing is, I didn't even know what time it started and I just figured there weren't a lot of people at the gym because it was Sunday. I have grown to love Martha's Cooking School show on PBS. I think Craig secretly likes it too. A big smile after a dentist visit. I went to a new dentist and I really like him. He's a perfectionist and I can appreciate that, especially because he got my teeth to look more white again by buffing out some old fillings on my front top teeth. Craig sent me this quiz on "Which State Matches Your Personality." He got Colorado and I was right next door with New Mexico. I told him that was because I watched too much Breaking Bad lately. Apparently, Wisconsin is the most extroverted state. I have noticed that people seem "friendlier" in the Midwest. On my way to pick up something at the Central Milwaukee Public Library before heading to work. Challenging my balance by using a balance disc at the gym. Wearing a green ribbon at work to support something (that I don't want to share on the blog). "Working" on something at Dunkin' Donuts on Friday morning. I took off of work so I could catch up on some stuff. I just went to Dunkin' for a free cup of coffee, not for the donuts. I decided I really don't love donuts. We tore apart the garden on Friday night and were left with this mess. So sad that cooler temps are here to stay. Welcome to Wellness Wednesday! 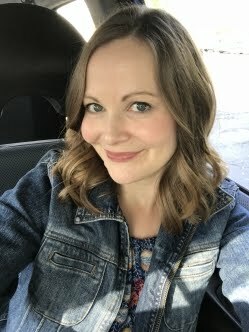 I am going to try to feature something healthy I am incorporating into my own life or some interesting wellness-related news stories I have stumbled upon each week. This week, I wanted to share something I have been thinking about doing for a while and finally did: I drank warm lemon water upon waking before I drank coffee and ate breakfast. My main goal with drinking it is to help with digestion, which one of many benefits listed below. sleep can leave you dehydrated since it can "pull water" from your body. The citric acid in lemon juice can help the human body's enzymes function and stimulate your liver and thus, help it detox. (source: Glamour magazine article from 7/2013). I definitely felt more energetic after drinking it! I also felt very full the mornings I tried it, which is unusual for me. This article from MindBodyGreen states that since lemons are full of pectin fiber, which helps fight hunger cravings. I had read that drinking coffee about a half hour after you've finished consuming your lemon water is fine, so that's what I did. Have you ever had lemon water first thing in the morning? If you haven't, what is your drink of choice when you wake up? Thanks to YogaOutlet.com, I've got a fabulous giveaway for you to enter today! I have always wanted a foam roller for home use and use one regularly at the gym for self-myofascial release. You could win an Aeromat Elite High Density foam roller (6" x 11") and a Sporti heavy resistance cord if you enter below! 1) Mandatory--tell me, have you used a foam roller or resistance cord before? Please include your e-mail address in your comment, otherwise I may not be able to contact you if you win. -(One extra entry for each): Like YogaOutlet.com on Facebook and/or twitter. -(One extra entry for each): Like Lisa Living Well on Facebook and/or twitter. I'll pick a winner sometime on Sunday, October 27, 2013 and notify them via e-mail. INGER, you won with lucky comment #8! Disclaimer: I received a credit to YogaOutlet.com to order the foam rollers and fitness cords for myself and for the giveaway winner. For those of you curious about the kiwi berries, I love them! 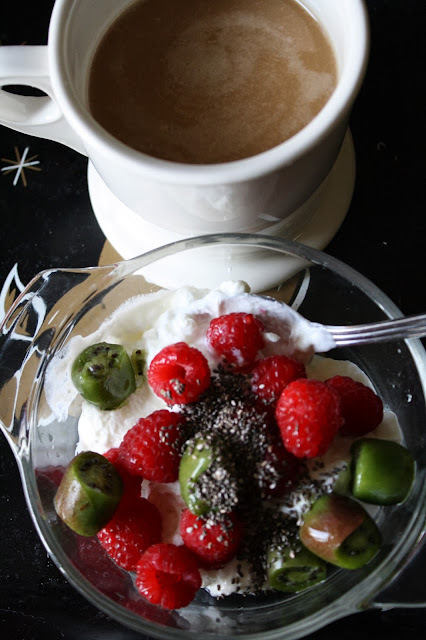 They taste like kiwis and are much easier to just chop up and add to yogurt or eat alone. Craig really wanted to try them and I think he ate three all week. I've been left trying to finish them up and they're getting wrinkly now at this point, so I think I need to add them to a smoothie tomorrow morning. Tanzi had a lovely fort setup in our living room over the weekend. He enjoyed hiding and playing in it. I made a banana walnut bread to munch on at work as a snack all week. It turned out pretty good. I started out my week really consistent with exercise and hitting the gym, which felt great. Then the nasty, cold damp weather hit and my ankle hurt. I went to physical therapy on Wednesday and my therapist had me do a normal squat. All of a sudden, a really sharp pain shot through the inside of my ankle. After that, I felt a little down regarding my progress. I likely have tendonitis and it could the be from the way I have been compensating on my ankle. I'm just resting more now, stretching and wearing my ankle brace and arch supports, if needed. I was talking to my sister about the setback yesterday and the same thing happened to her after Brostrom ankle surgery. That made me feel much better. It was at about the same point I am at too--feeling pretty healed and well and then all of a sudden, it felt like knives were stabbing her foot. Oh and those are some of my favorite workout pants--Zella Live in Leggings from Nordstrom. I'm reading "The Seven Habits of Highly Effective People." It has been a timely book to read before bed. I liked the quote below and have found it quite applicable lately. A pretty sky on my way to work. Driving through 'Stallis. Trying on clothes from Stitch Fix. I ended up keeping this top and sending everything else back. I loved these Kensie skinny jeans I received in my Stitch Fix, but they got returned. I'm going to look for another brand that my niece recommended. They were so cute with boots though! I didn't think I was a skinny jeans type of girl, but they were comfy and my legs looked skinnier in them compared to the jeans I have been wearing lately. Vegetarian chili and marble rye bread at my parents' house! My sister Laurie was in town from Minnesota, so it was a treat to have dinner with her and my parents. We were giggling at my mom and dad, just like two little kids would do. After dinner, we drove out to UW-Whitewater to watch Laurie's son play football for UW-Eau Claire, where Laurie and I also went to college. Go Blugolds! My nephew got to play quite a bit, but the team got killed 45-0. I brought a package out to the mailman when he arrived and then he told me he had four packages for me in return! Whoa, happy mail day! These are all things I am reviewing and/or giving away on the blog soon thanks to YogaOutlet.com and Energy Bits. I had a long list of errands to run in Brookfield this afternoon, so I needed this pick me up. It was tasty! After errands, I met my mom to watch my nephew Nathan play soccer. Nathan's brother (and my godson), Owen, was nowhere to be found when we arrived. He was hunting for cicada shells in the trees. Gross. I had him show them to me and he said, "I knew you would think they were gross Aunt Lisa!" Disgusting really. Oh, boys are so different than girls. Nathan proud at the end of the game! He scored a goal and his team won against a really difficult team. I really miss playing soccer myself. It was one of my favorite sports at Nathan's age. I wouldn't say last week was bad, but there were some irritating things that happened and they have me thinking I need a change soon. I hope one is coming in a certain area of my life. I need to keep living well and if a change doesn't happen, I don't feel like I can. There, I poured my heart out as much as I can about that topic without saying anything else on the blog. 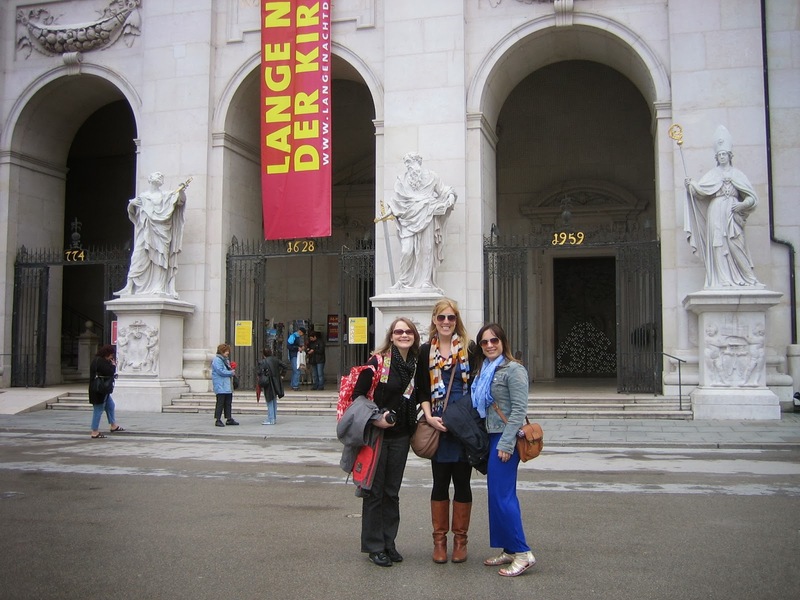 This was my second time to Austria, I had been to Vienna before, but it was my first visit to Salzburg. I had only passed through it via train before. It was more special visiting the country this time, since I was with my mom and we had just confirmed that her family were likely Austrians who lived in Bohemia and Germany. I started out my day with Bircher muesli and a coffee at Starbucks at the Munich train station. Mom and I then met up with Laurie and Kim to head to Salzburg! Once off the train, we started our search for The Heart of Joy cafe. Kim had heard about it from a friend who recommended the vegetarian restaurant. After getting a little lost, we finally found it. We purchased some vegan treats to eat and then wandered around the city for a bit. 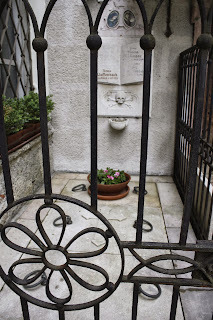 I think this is one of the fountains from the Sound of Music. 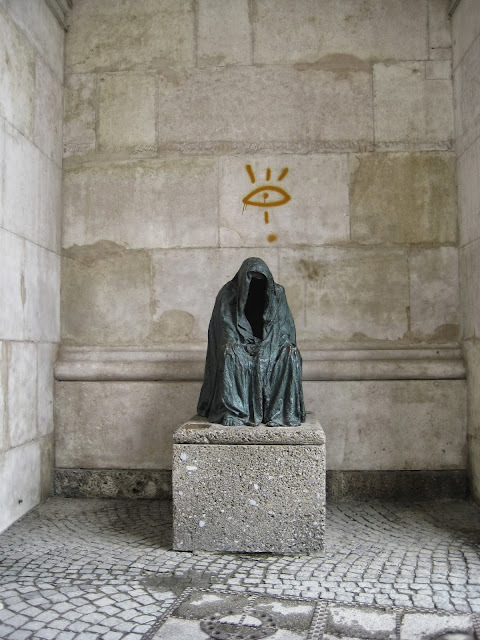 Craig and I saw this exact same statue in Prague. It has to do with one of Mozart's works. 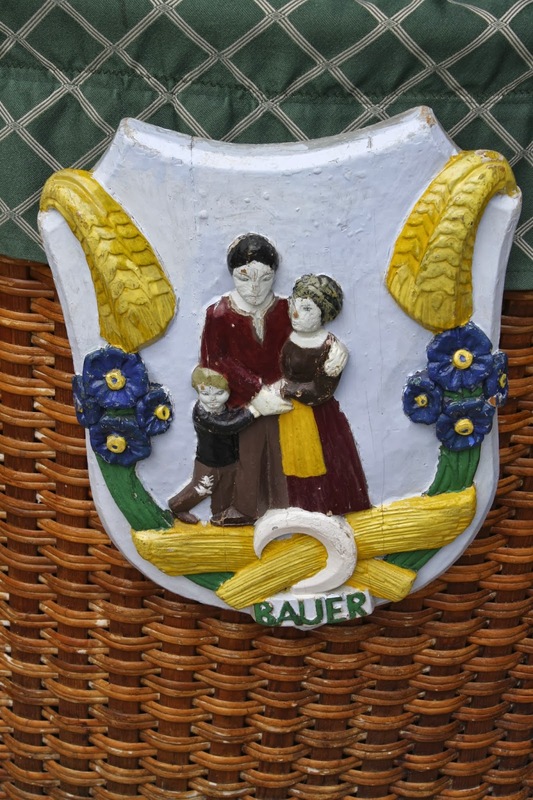 My grandma's family name is Bauer and her side is most likely 100% Austrian, so I thought seeing the name everywhere was pretty cool. It means "farmer" in German, so it's a pretty common name on breads and it seems to be a fairly common surname too. Salzburg is known for The Sound of Music, so I had to pose with this! And it's known for Mozart, so his face is found everywhere, even on rubber duckies. I collect Christmas ornaments from places I have been to in Europe and I had to purchase a little Mozart ornament to bring home and remember Salzburg by! I really wanted to see Mozart's birth house, so my mom and I decided to go in while Laurie and Kim shopped. We couldn't take pictures inside the museum, but I really enjoyed seeing things like Mozart's violin and learning more about him and his family. All four of us met up again and walked around town some more. We stumbled upon a creepy cemetery, St. Peter's. This has to be one of the most frightening statues I have ever seen in my life. 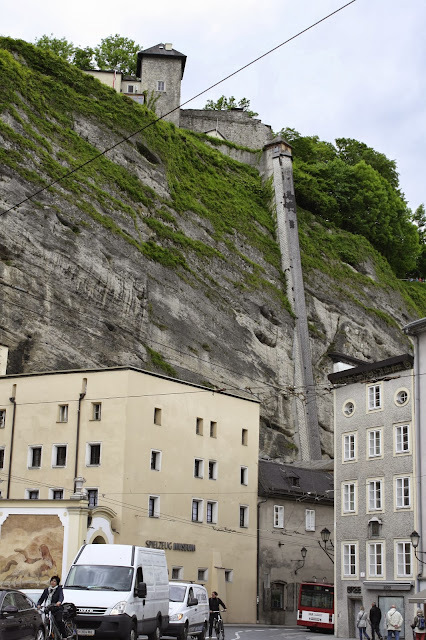 Here is some history I found online: St. Peter's District is the oldest part of Salzburg, with the city spreading out slowly from the monastery. The catacombs cut in to the Monchsberg cliff face go back to 215 AD. Only priests and monks were buried at St. Peter's Cemetery until the 15th century. 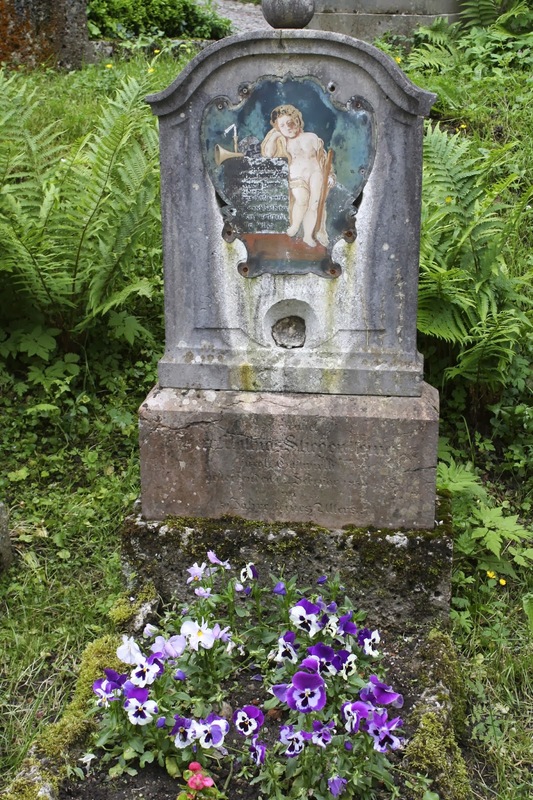 Many of Salzburg's wealthy and aristocratic families are also buried here, and it is the oldest cemetery still in use in Austria. Entrance to the cemetery is free, with a small charge to see the catacombs. Later on, we found the coolest park to play around in. Kim and I went up/down this slide. It has to the most bizarre way I have ever climbed up a slide and it is way too complicated to explain in words. 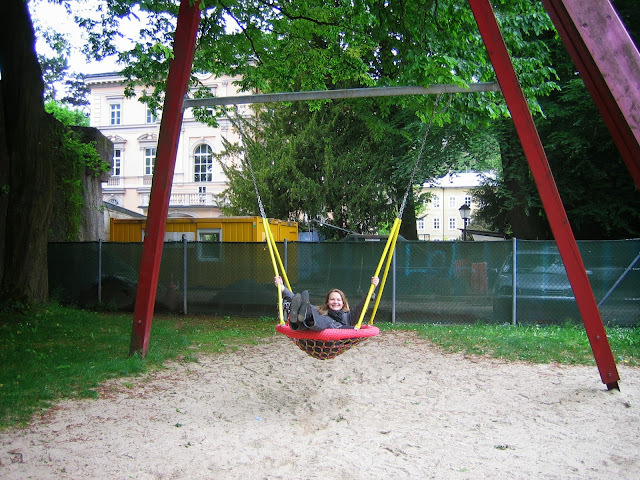 The swings in the park were the best! I want one of these in my backyard. It was like a cross between a swing and a hammock! Lots of delicious food was consumed! Macarons, apple strudel, a cheese pretzel, lentil soup, and a Linzer cookie. We didn't venture up to the castle, but it was beautiful from afar. 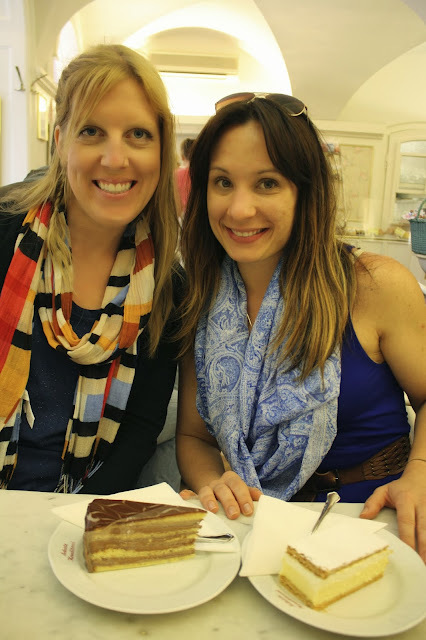 After we went through the Mozart house and Laurie and Kim shopped, it was time for them to have some cake for dessert! 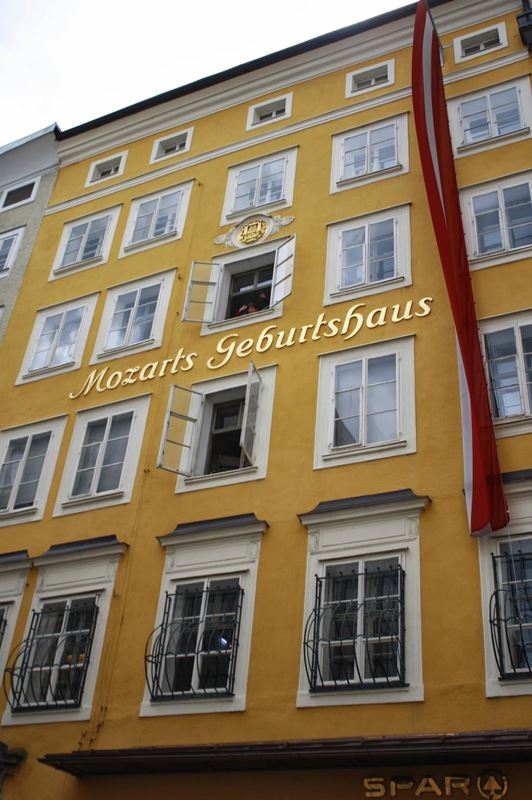 Mozart lived in this house. Laurie, Kim and I at Mirabell Palace and Gardens. We ended our day back at The Heart of Joy Cafe, for some soup and other "real food" after eating lots of treats. The soup we all consumed was so good! They had wi-fi there, which is often difficult to find in Europe, so we caught up on things on the internet. Salzburg was such a beautiful city!